strive to act with integrity, independence and impartiality, to avoid conflicts of interest and to act in accordance with the presuppositions of the NLP. present themselves as well as their qualifications and experience to the best of their knowledge and belief. This also applies to skills and knowledge of third parties, which they recommend to their customers / clients. exercise NLP only within the limits of their competence and according to their highest possible level. to continue their education in their skills and knowledge. offer NLP interventions as a choice and never as a sole and exclusive solution to a given problem. treat the concerns of their clients / clients confidentially. presenting NLP as a professional and effective method that helps individuals and organizations. to ensure that client / customer expectations are met in mutual agreement. respect the diversity of different NLP styles and the approaches of related professions. act in accordance with DVNLP’s core values in order to communicate the objectives and activities of the Association to a wider audience. respect the value and dignity of each person and their right to self-determination. The DVNLP relies on values and continuity with a consistently high standard – committed to the Code of Ethics. 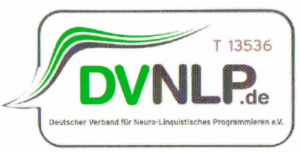 Source: DVNLP (Denkweisen – Der offizielle NLP-Guide).